Top Level Domain Names (TLDs) such as “.cc” or “.tv,” may not be mainstream, but there is no doubt that most people have seen them in use online or in print advertising. 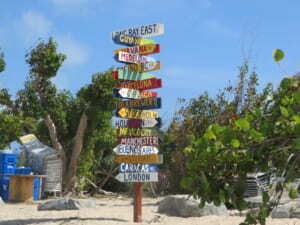 Domains such as these are available for registration by anyone and often originate from islands in the South Pacific or Caribbean. For countries operating these TLDs, selling them is a valuable means of acquiring foreign currency and even supporting the finances of islands that are disappearing into the sea. Interlink Co., Ltd. offers more than 1,000 TLDs through its website Gonbei.jp. Interlink will be focusing on about 50 domains from these islands by actually exploring these islands first hand to report on the uniqueness and diversity of the islands as well as the domains they operate.